I am the first one to say that we need to change the level of importance that tourism has in our economy, but the proportionate importance. Not get rid of the industry all together. There has been a lot of exaggeration about the scant added value which tourism contributes, that it generates low paid jobs. Well, that depends. There is a high-level tourism which generates a lot of income, apart from being associated with doing business as is the case now. Apart from the cultural exchange aspect it brings with it, not only for the visitors but also for those on the receiving end. I don’t see any reason for imposing controls on private tourism rentals, apart from a fiscal one, but that’s exactly the same as in the case of any other kind of rental income. What’s the problem and why make such a fuss? Policing, nothing more. Thanks to this kind of tourism, I was able to visit Venice for a reasonable price, because “first line” hotels on the “Gran Canale” were out of my reach. You can’t abolish tourism by force, without another sector or sectors having emerged to replace it. That there’s not much industry? That’s not the fault of tourism. Investment is determined by incentives and disincentives, and I don’t see any opposition whatsoever between tourism and other businesses. Look at France, which is one of the most tourist-focused countries in the world, but also has huge industry with prestigious multinational companies. France is well aware of the fact that tourism gets you known, and it maintains its aura of being a beautiful country, clean and well-managed. 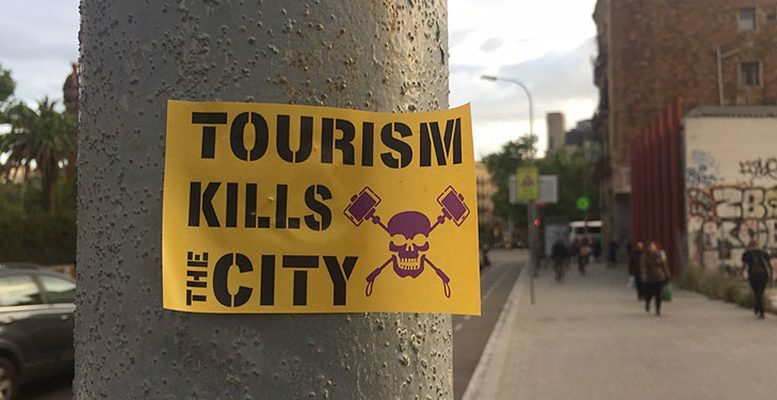 What’s happening with tourism in Spain is yet another aspect of the anti-everything (anti-open society) ideology of the canvas sandal-shod left wing. They don’t wear canvas sandals, but they brag about doing so. Tourism is part of a framework of alliances with other sectors and all the prestigious brands join forces to make Spain an attractive destination.